« Sun Angle, Sun Angle, Sun Angle. I Root for the Predators. And Today’s Understanding Photography Podcast! 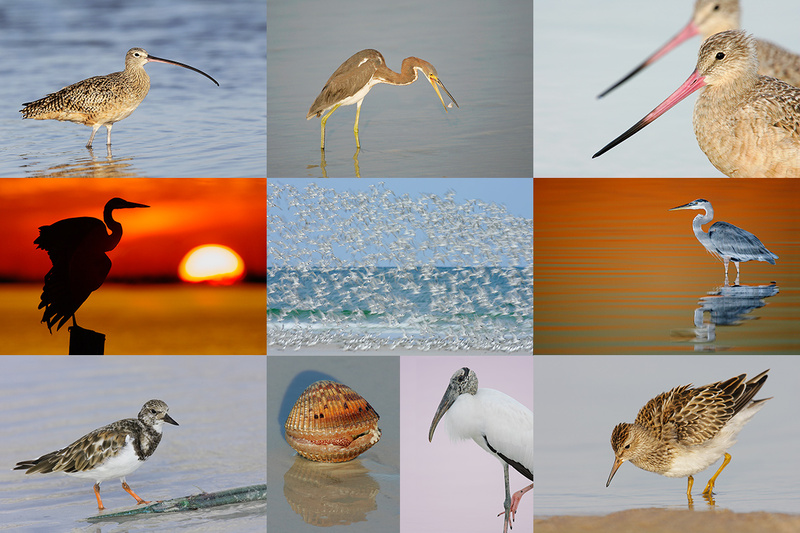 This Friday, August 10 at 4 pm EDT – the fabulous Arthur Morris/BIRDS AS ART will be the guest on our 100th episode of The Understand Photography Show! Get your questions ready as this will be a live question and answer show! With prizes! Be sure to comment or ask questions over on the Understand Photography page while watching the show to enter! Also, we are selecting a very small studio audience. If you’d like to attend the live show, shoot me an email at peggy@understandphotography.com. 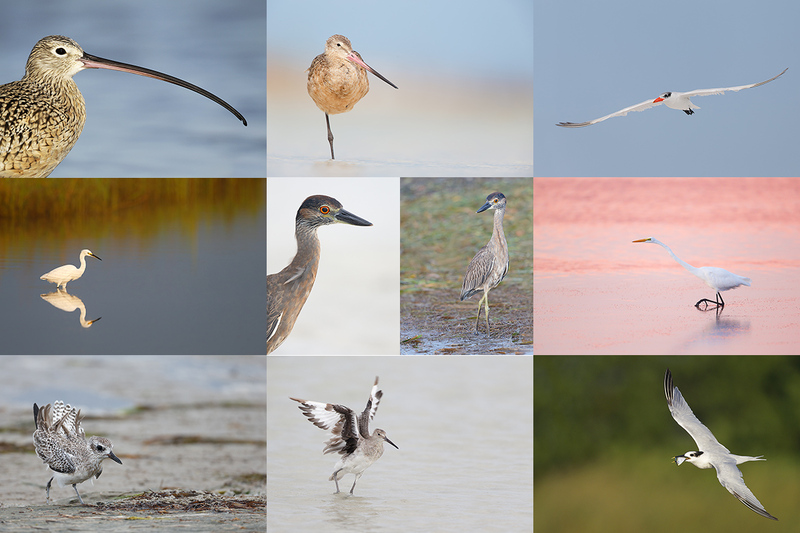 On the podcast we will be talking in depth about my switch from Canon and Nikon, the pros and cons of each system for bird photographers, the best tripod head for bird photography, and the most common mistakes made by bird photographers. And lots more. ps: you can scroll down on the FB page to see the first episode that I did with Peggy. Getting up early and staying out late is pretty much a staple on all BIRDS AS ART Instructional Photo-Tours. Being in the field well before the sun comes up and staying out until sunset will often present unique photographic opportunities, opportunities that will be missed by those who need their beauty rest. I really love it when I am leaving the beach on a sunny morning after a great session just as a carful or two of well-rested photographers arrive. 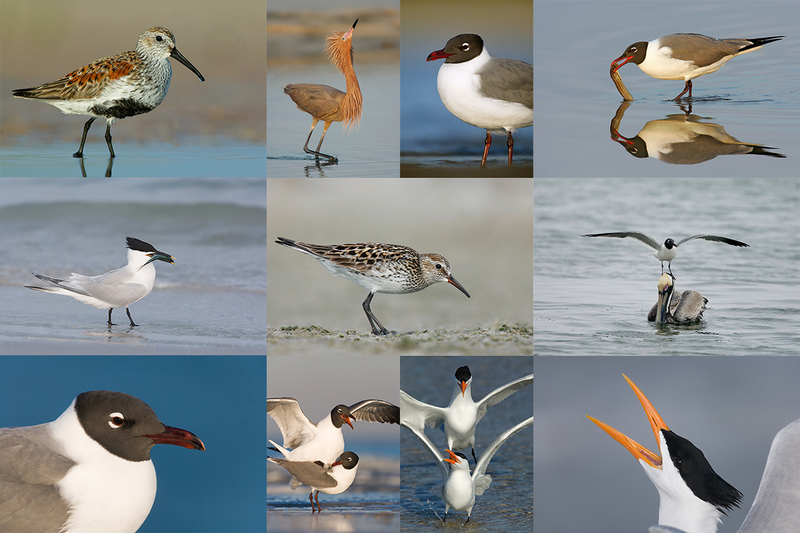 Clockwise from upper left to center: Breeding plumage Dunlin, breeding plumage dark morph Reddish Egret displaying, breeding plumage Laughing Gull, breeding plumage Laughing Gull with fish, Laughing Gull on pelican’s head, screaming Royal Tern, Royal Terns copulating, Laughing Gulls copulating, Laughing Gull head portrait, breeding plumage Sandwich Tern with fish, and a very rare-in-Florida, breeding plumage White-rumped Sandpiper. Can’t make the IPT? Get yourself a copy of the Fort DeSoto Site Guide. Learn the best spots, where to be when in what season in what weather. Learn the best wind directions for the various locations. BAA Site Guides are the next best thing to being on an IPT. You can see all of our Site Guides here. I can’t wait for the show tomorrow to see what new things we will all learn from the amazing Artie Morris! Thank you for participating on Peggy’s show, Art…she works really hard at it, and yes, “irrepressible” would be just the word I would use to describe her. I was happy to be a guest on her show five weeks ago, and hope to be in the “studio audience” tomorrow. Safe travels!